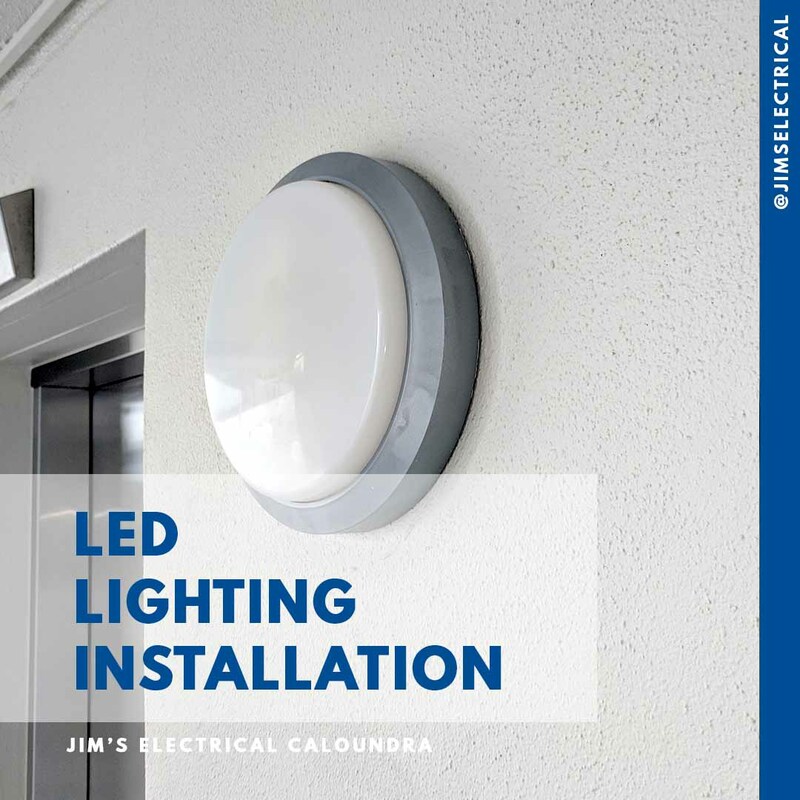 Jim's Electrical light it up at Kings Beach Sunshine Coast. A nice new LED wall mounted light in a unit complex allows immediate outdoor lighting near the doorway. Safety and good looks make this outdoor area a feature. Great LED Lighting supplied and installed by Jim's Electrical.